If you spend any time at all on Tumblr, Facebook, Instagram or Twitter, there’s a good chance that you’ve already encountered various Butterbeer recipes floating on the net, the latest version of which is the Starbucks Butterbeer hack. And like any curious Harry Potter fan, you’ve probably been dying to try it. I know I was. But unfortunately, it’s not the simplest thing to order, and there’s a good chance that a muggle barista will stare at you weirdly for dictating your instructions like a deranged potions master. It’s so much easier to say, “I’ll have an iced white chocolate mocha,” instead. Well, you don’t have to jump through all the hoops to get that frosty tumblr of Butterbeer. Ordering it is much simpler than the recipe leads you to believe. Start with a Creme Frappuccino base. Choose whole milk. Add 2 pumps of Caramel Syrup. Add 2 pumps of Toffee Nut Syrup. Thers’s even a pump chart that indicated that it’s 2 pumps for Tall, 3 pumps for Grande and 4 pumps for Venti. So, off we went to our neighborhood Starbucks. I chickened out at ordering and instead Accio Butterbeered Pad to order for me. Being the nice husband he is, he went off to order for us. Our findings? Well, the barista, realizing our difficulty, kindly told us that it was just a Toffee Nut Caramel Frappuccino. Basically, it was a Caramel Frappuccino with Toffee Nut syrup. No need to request for the caramel drizzle because it automatically comes with the Caramel Frapp. No need to memorize the pump chart either, because the number of pumps are standard, depending on your drink’s size. And it makes the whole thing less excruciating for you and your barista since you’re not making endless customizations that turn out to be the regular deal anyway. Wait for me, WWOHP Butterbeer! We will meet one day. Now isn’t that less intimidating? 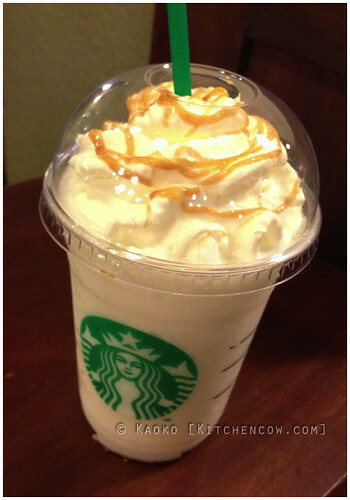 All you need to do is to ask for a Caramel Frappuccino with Toffee Nut syrup. And thank goodness too, because it’s something we’d order again. It starts off as too sweet. Common consensus is that it tastes like the old school Peter’s Butterball candy, but once the ice melts a bit, it mellows and becomes a smooth, creamy, nutty dessert drink. Yes, I think of it as a dessert, rather than as a refreshment. Definitely one for people with a strong sweet tooth. WWOHP Butterbeer picture is property of the Universal Studios Orlando Media Site. This entry was posted in recipes, restos & eateries. Bookmark the permalink. As much as I’ve been wanting to try this, I am also thinking “sore throat” post-drink. LOL! I’m craving for this. Thanks for sharing this post! I was able to try Starbucks’ version of Butterbeer and I immediately thought that it tasted like Peter’s Butterball. LOL. At one branch I ordered butterbeer and the barista told me that it’s called caramel cream with toffee nut. 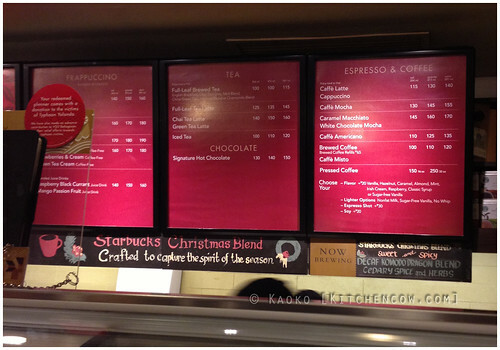 Then when I got to another branch, I ordered caramel cream with toffee nut and the barista told me it’s butterbeer. Naguguluhan ako. Hehe.